WE ARE HERE FOR YOUR PETS BOTH DAY AND NIGHT! 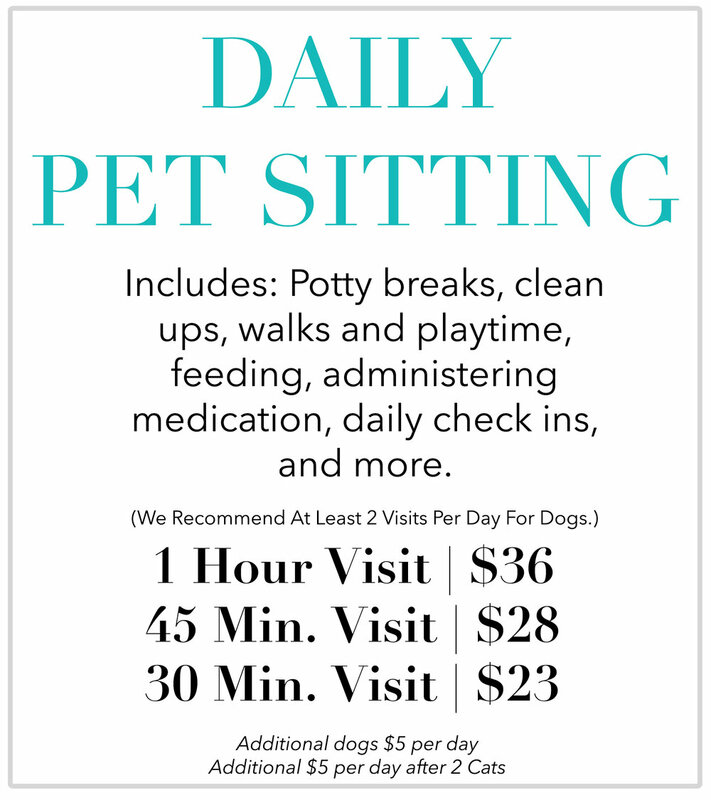 Our customizable Pet Sitting Packages help minimize stress for your pup during your absence. Have peace of mind knowing your pet and home are in the loving, capable hands of our insured and bonded pet care specialists.